Old postcards provide a glimpse of history, often reflecting the life, culture, and values of people at different times and places. A good example of how postcards can be used to provide insights into interesting aspects of history can be found in an on-line University of Cincinnati (UC) exhibit. It was created by the head of the UC archives and rare books library, Kevin Grace. 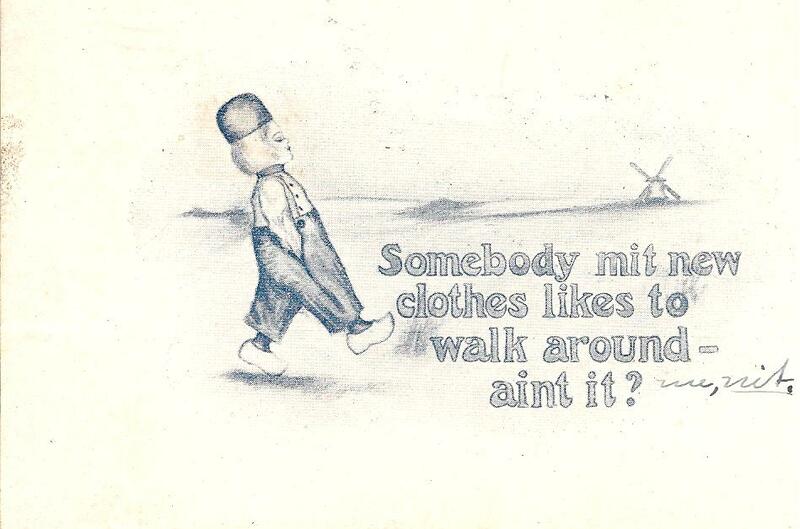 The postcards in the exhibit are humorous takes on German stereotypes with heavy emphasis on jokes related to beer, wurst, lederhosen, and speech. 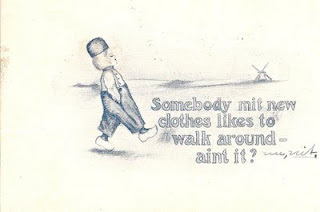 Mostly, they caricature Germans as fat beer-drinking, sausage-eating, English-mangling buffoons. Most were created in good spirit, but some were clearly negative, reflecting times of economic and social stress when Germans were viewed by some as a threat to American values and jobs. Also, the post cards (reflecting American views of Germany) changed when the U.S. entered World War I. This exhibit is worth a view, partly to see some funny postcards and partly to recall the history of German immigration into the U.S. as viewed a century ago. 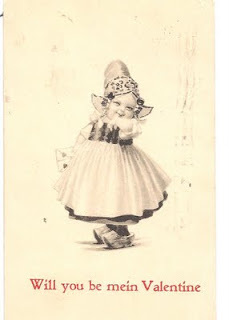 Stimulated by this exhibit, I purchased some related postcards in a March visit to a Tontitown, Arkansas antique mall. 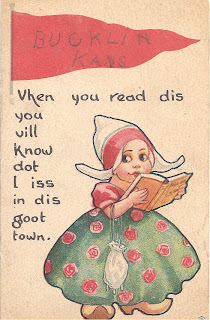 These cards -- published in 20th century teen's -- present a positive and wholesome view of Dutch immigrants in the U.S.. For example, the postcard at the top of this posting, mailed from a city in Ohio in 1912, has a pleasant image of a Dutch kid (see wooden shoes) with humor based on contorted English. The postcard to the left is undated (but likely posted before WWI) shows a young Dutch girl (wooden shoes again), using broken English to praise the town on Bucklin, Kansas. 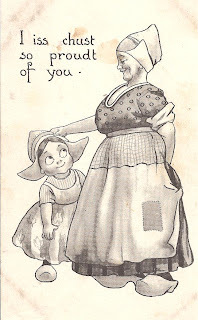 The final two cards are again positive, and even endearing, pictures of Dutch immigrants. 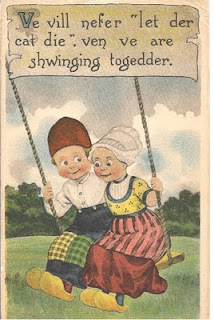 The Valentine postcard on the left was sent from Lexington, Missouri in 1914. The postcard below is undated, but about the same age as the one on the left, was sent to an address in Kansas.